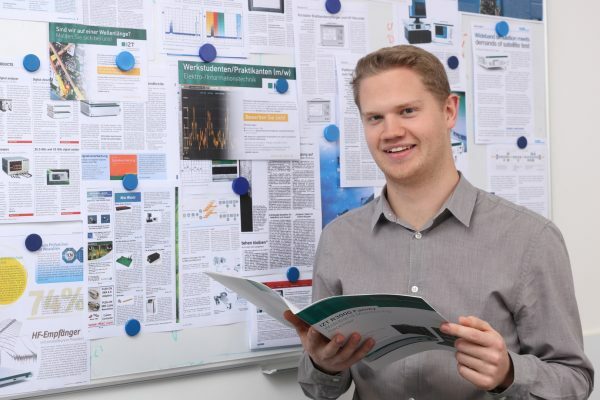 Erlangen, December 02, 2015 – The IZT GmbH launched a new option for its powerful R4000 RF receiver. The 32768-point FFT option in combination with the 120 MHz real-time bandwidth ensures reliable detection of fast bursts and frequency-agile signals. Even the most advanced hoppers with extremely high hop rates are detected under demanding SNR environments. The Hopper Detector plugin provides real-time information about detected hoppers containing bandwidth, dwell time and time-of-arrival information. Using the 32768-point FFT, the real-time frequency resolution is less than 5 kHz over the full 120 MHz bandwidth. The transformation is processed in a high-performance FPGA. The continuous detection without any gaps makes the R4000 a very powerful real-time signal analyzer. In parallel to the PSD (Power Spectral Density), IQ content of sub-bands or even the full bandwidth can be retrieved and forwarded to the sensor controller. This allows to detect and analyze thousands of signals in parallel. Utilizing the 4096-point FFT option, the time resolution of the spectrum can be as fast as 25.6 µs per spectrum. This is orders of magnitude faster than swept analysis techniques and meets the demand for systems being able to capture today’s hopping, transient signals. The IZT R4000 delivers a powerful digitizer, wideband receiver and signal collection system for COMINT and ELINT systems, wideband satellite surveillance and continuous broadband radio signal recording. It achieves an instantaneous bandwidth of 120 MHz and covers a frequency range of up to 18 GHz. IZT’s third generation all-digital receiver ensures a very high dynamic range also in high-bandwidth applications, and has the ability to store and analyze the huge amounts of data that come with this increased instantaneous bandwidth in a typical operating environment. 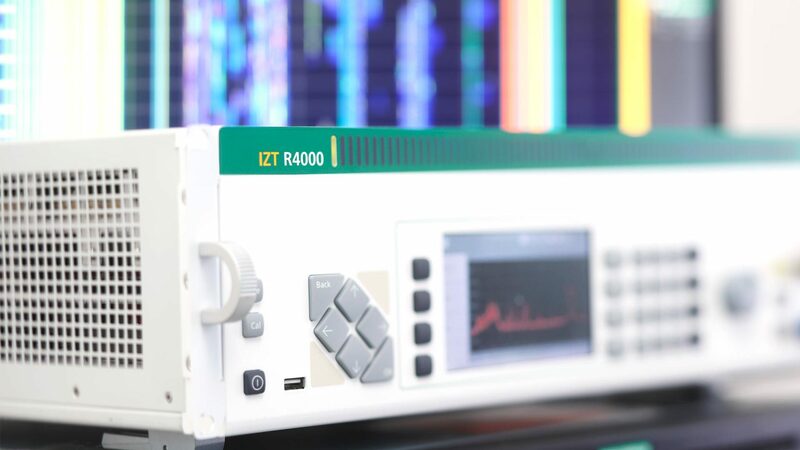 The IZT R4000 features a backend digital storage system and dedicated parallel signal analysis engines to support multiple users. It includes highly-selective configurable signal pre-selectors to avoid signal overload problems, high-quality RF front-ends, and broadband digitizers. Customers can choose from different IZT R4000 models to meet their individual signal intercept and monitoring requirements: the IZT R4000-RF3, the IZT R4000-RF6 with a frequency range of up to 6 GHz ideal for interferometric direction finding and radio monitoring, and the IZT R4000-RF18 with a frequency range of up to 18 GHz.